Noble Group Ltd., who had fallen into financial difficulties because of the fall in commodities prices, reached a deal earlier this week to restructure $3.5 billion in debt. After a 3-year crisis marked by massive losses, write-downs and controversial accounting, Noble management, bank creditors, and bondholders reached an in-principle agreement that will convert half of the debt or about $1.7 billion, into new equity, essentially wiping out existing shareholders. The creditors will control 70% of the company and management 20%, whilst current shareholders will get just 10%. Holders of Noble’s perpetual bonds, which rank below other debt securities, will also lose almost all their capital, suffering a 96.5% loss in face value. While saving the company from complete failure, the deal, which follows the fire-sale of its oil and gas business in recent months in an effort to raise cash, will transform what was once a challenger to global trading giants such as Glencore Plc to a rump business focused on coal in Asia. Noble needs to seek approval from all the parties involved in the deal, including shareholders and the holders of its perpetual bonds, who will suffer large losses. The company has proposed converting $400 million worth of perpetuals into up to $15 million in new securities. The perpetuals plunged today nearly 43 percent to a record low of 7.8 cents on the dollar. 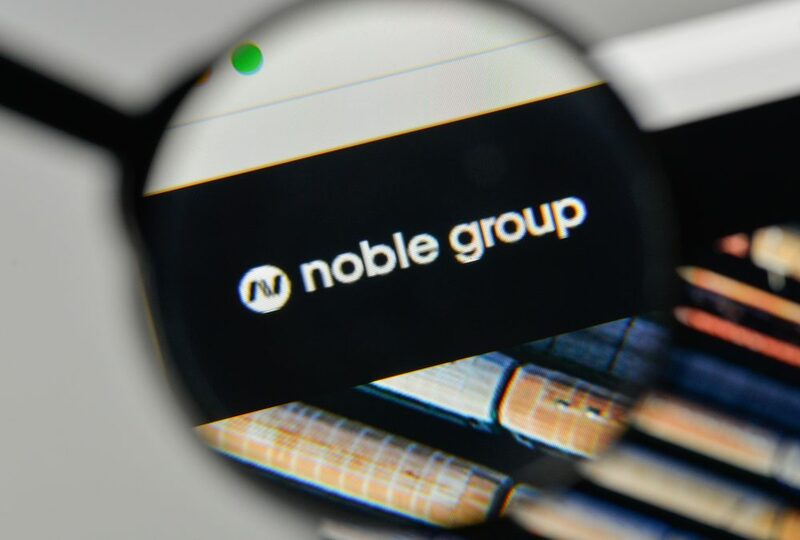 Following announcement of Noble’s plans to restructure, Abu Dhabi-based Goldilocks Investment Co., one of the Company’s biggest shareholders holding 8.1% or 107.6 million of its shares, wrote to the Singapore Exchange Ltd. requesting an investigation into Noble’s directors and management. Goldilocks’ complaint that the Company’s restructuring “envisages not only a massive dilution of Noble’s existing shareholders but this appears also to have been done in order to confer a benefit to management and employees” highlights some of the challenges for Noble and the creditors backing the rescue plan that is set to hand management a bigger stake than equity investors.